This luxury 5* resort is perfect for getting the sun, rest and relaxation. 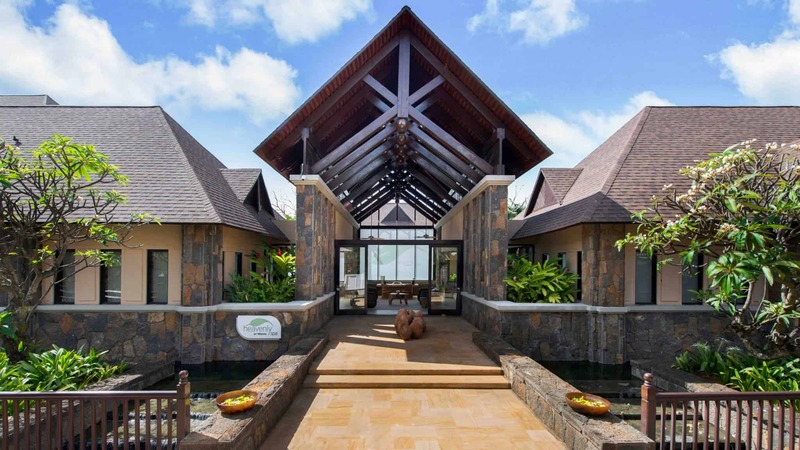 Facing the Turtle Bay marine park, Westin Turtle Bay is 13 km from the capital city Port Louis and 10 km from the Mauritius National Botanical Garden. 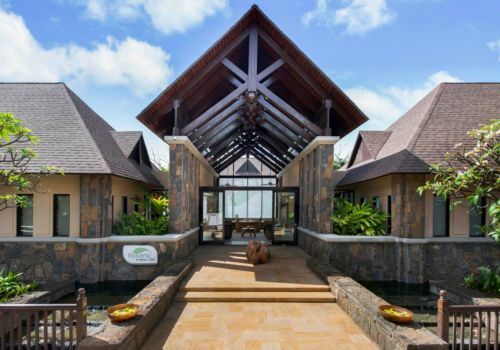 With a spectacular spa, restaurants featuring an abundance of tasty multi-cultural cuisine and views that will make all your friends jealous; The Westin Turtle Bay is the place to be in Mauritius. Extremely gay-friendly, the hotel is ideal for a gay or lesbian honeymoon. Complete with modern furnishings and bespoke facilities, each room boasts a cosy living space including a king or queen bed, separate shower and bath along with a private balcony equipped for three guests. Ideal for families with two children and Honeymoon Couples, Ocean Grand Deluxe rooms are comfortable and spacious with a heavenly king-size bed with a custom-designed pillow-top set and an additional day bed, enabling you to get the ultimate relaxing experience. The Deluxe Family room is a great space for the whole family to unwind. Featuring a flat-screen TV for the children to enjoy and a delightful daybed to take in the amazing views. The Club room enables you to have the perfect combination of exclusive access to the Westin Club Lounge facilities, including all-day non-alcoholic refreshments and the mesmerising views of the ocean as well as the modern decor and facilities of the room; making for the ultimate place to stay. Guests staying in the Junior Suite can enjoy sophisticated and classy comfort, complete with Westin signature amenities and a relaxing lounging and dining area. 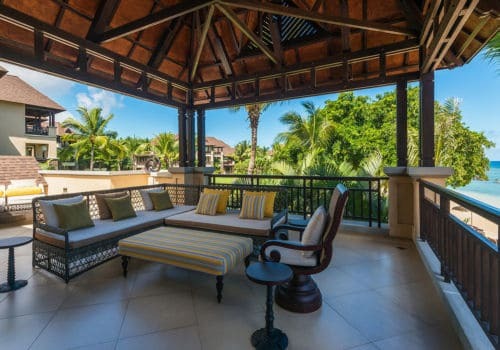 What’s more is that the suite showcases stunning views of the resort’s intimate tropical garden or of the shimmering waters of the Indian Ocean. 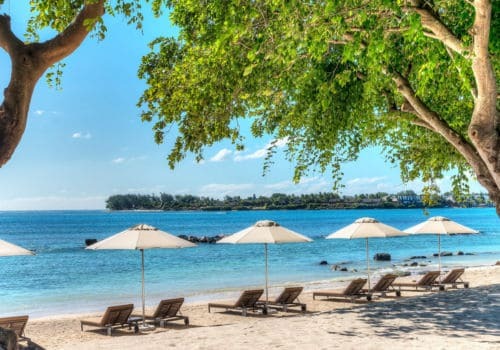 If you stay in the Beachfront Deluxe room you’ll be just footsteps away from the crystal clear waters and pristine sands of the beach at Turtle Bay, equipped with luxurious facilities, including a private balcony with table and chairs; you won’t want to stay anywhere else. The Banyan Suite can simply be described as elegant, luxurious and picturesque.With direct access to the beach and lots of fabulous facilities, including Westin heavenly king size bedding, access to the executive club and much more. A stay in the Ocean Suite is a stay in a luxurious paradise.Whether it’s lazing on your private terrace with your favourite beverage or taking a dip in the luscious turquoise waters of the Indian Ocean. Here you can indulge yourself in a range of treatments, including Detox Massage, De-Stress Head Massage and Shaping And Toning.